It seems as if little time goes by without hearing about a high profile “hack” in the news. 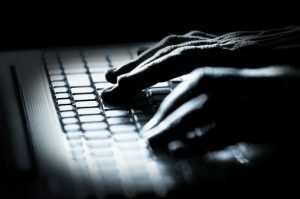 Cyber crime is on the rise in the United States and prosecutors are increasingly pursuing those who commit such acts. Being convicted on a computer or internet related charge can lead to imprisonment, fines, a permanent criminal record, and the loss of professional licenses. It is important that you contact a lawyer as soon as possible. I am a Peoria criminal defense attorney who assists those charged with hacking. Contact my office today to schedule an initial consultation. Cyber crimes can take many forms. These can include phishing scams, financial fraud, accessing someone else’s network or personal account without permission, and more. Charges in such matters will depend on the types of act committed and the amount of harm done. A defendant may face misdemeanor charges, a felony, or they may be charged in Federal Court. It is important to understand that cyber crime allegations can “stack up” quickly. If, for example, a defendant accessed somone’s network five different times then they may face five separate charges. The first step in a felony matter is for the defendant to enter a plea of “guilty” or “not guilty.” In many computer-related cases the government will be relying on information which was obtained from the defendant’s computer or network storage. If such information was obtained in violation of the Fourth Amendment then it may be possible to keep evidence out of Court. Excluding such evidence may result in dismissal of the case. Should trial be necessary then it is often necessary to retain an expert who can testify in regards to complicated computer issues. Hiring an attorney familiar with this process can be crucial to a defendant. I am a Peoria criminal defense lawyer defending Illinois residents charged with cyber offenses. At your initial consultation I will gain your side of the story and help you understand what it is you should expect from the process. I will then obtain all evidence which the prosecution is required to provide under Brady v. Maryland. All possible Suppression Motions will be filed. The police or F.B.I. will be aggressively cross examined at an evidentiary hearing. Should trial be necessary then I will ensure that your rights are fully protected throughout the process. My office understands that you are facing a serious situation. I will take it seriously. If you need to speak with an attorney then contact my office today. If you are charged with a computer related crime then you face a serious situation. You need experienced counsel. I am a former prosecuting attorney with over twenty years of legal experience. I am licensed in Federal Court, am familiar with the local legal system, and know what to prepare for as your case moves forward. I strive to provide a high level of service. I will quickly return your phone calls, I often provide clients with my cell phone number, and I will make myself available to answer your questions. At my firm, we believe that everyone is entitled to a vigorous defense and this is our promise in each and every case we handle.